Lucy grew up taking pictures. She was given an Instamatic camera at the age of ten and promptly won the five dollar first prize in a local photo contest. Lucy was hooked and a passion was born. 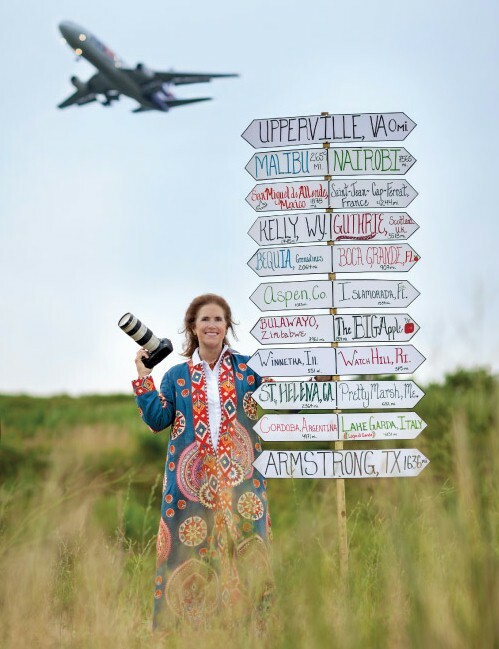 By the time she graduated from Foxcroft School in Middleburg, VA she had started taking pictures professionally. Summer workshops at the Rochester Institute of Technology, immersing herself in the technical aspects and details of photography, helped frame her artistic and intuitive sensibilities into the photographer she is today. On a Roll, Inc. evolved from her early years of capturing the light hearted moments between family, friends and her initial clients in and around her hometown of Upperville, VA. It grew by word of mouth and personal recommendation into a business which currently offers Lucy the opportunity to travel throughout the United States, Mexico, Europe, South America and Africa photographing destination weddings, portraits, and family trips such as fly fishing, white water rafting, shooting parties and cattle round ups — just to name a few. Lucy's photographic style can best be described as imaginative, elegant and fun. Her pictures embrace a spontaneity and candidness which, while capturing the humor, the romance, or solemnity of a moment, are a product of her ability to effectively combine her technical skills, her artistic instincts and, in no small amount, her innate ability to be in the right place at the right time, while still being unobtrusive. Over the course of time, Lucy's repeat customers have asked her to photograph family Christenings, birthdays, Bat and Bar Mitzvahs, as well as debutante parties and cotillions. Lucy is privileged to enjoy lifelong friendships and considered family by many of her clients. It is this congeniality which fosters the relaxed and amicable atmosphere so important in taking pictures which capture a moment, a speck, a fleeting instant in time before the world rushes on.